Neil Peart is planning on playing on the next Vertical Horizon album, although it's still in the works. The news came out in a NAMM interview with DW drum maker John Good on YouTube. Good also talked about making a new drum kit for the recording session. I'm not sure if this means that Neil is going to perform as a guest on a few Vertical Horizon songs, as he did on Burning the Days, or more. More updates as I get them. Kevin J. Anderson thinks big with novelization of "Clockwork Angels"
Here's something most Rush fans probably never thought they'd see: Kevin J. Anderson, a writer of many books and sometime collaborator of Neil Peart's, is working on a novelization of Rush's forthcoming album, "Clockwork Angels." 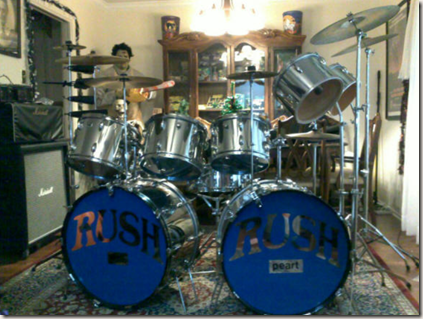 Most of you are aware of my long-standing friendship with Neil Peart, the drummer and lyricist from the legendary rock band Rush, as well as how much Rush has influenced my work. 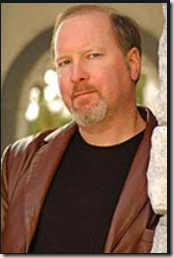 My first novel Resurrection, Inc. was closely inspired by the Rush album "Grace Under Pressure," and I can point to dozens of other novels and stories that bear a clear Rush influence. Neil and I wrote an original short story, Drumbeats, which we thought turned out rather well. I worked together with Neil to flesh out the epic story told over the course of the music, as well as the artist Hugh Syme whose paintings fill the CD booklet. In a young man's quest to follow his dreams, he is caught between the grandiose forces of order and chaos. He travels across a lavish and colorful world of steampunk and alchemy, with lost cities, pirates, anarchists, exotic carnivals, and a rigid Watchmaker who imposes precision on every aspect of daily life. 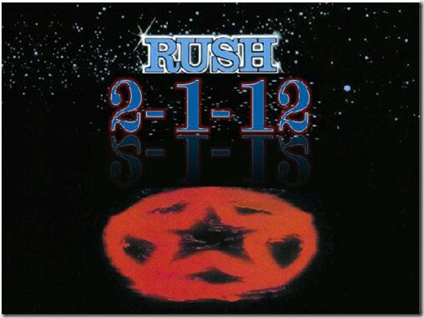 To whet your appetite, Rush released the first two tracks, "Caravan" and "BU2B"--listen to those songs to get an idea of the story's beginning. I'm writing the chapters now, incorporating the lyrics into the narrative, and having a fantastic time. More details to come, but for now--to quote a line from Caravan: "I can't stop thinking big." Thanks to Ed at Rushisaband for the head's up! 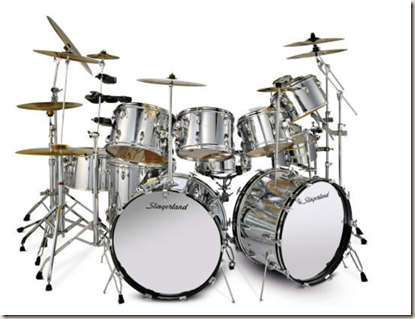 If you haven't seen this part of my website before, it's a section that features drum kits that are either replicas or kits inspired by Neil Peart's drums. 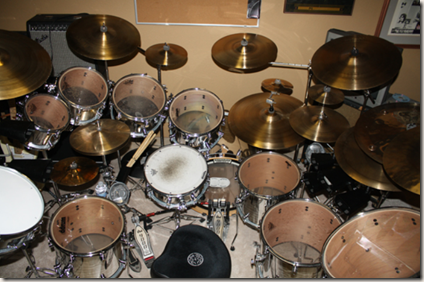 People have been sending in pictures of their kits since 2006, so now there are quite a few drum kits to check out. A slide show that plays on the main page: You can click any of the pictures to go to that kit's page. 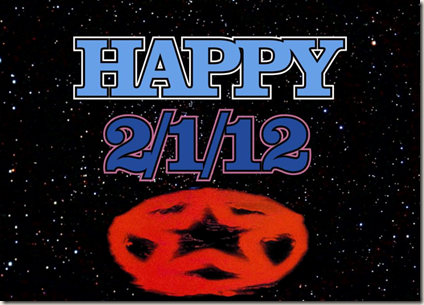 Thanks to the American date format -- 2/1/12 -- Wednesday, February 1, 2012, has been proclaimed 2112 Day, also known as International Rush Day. 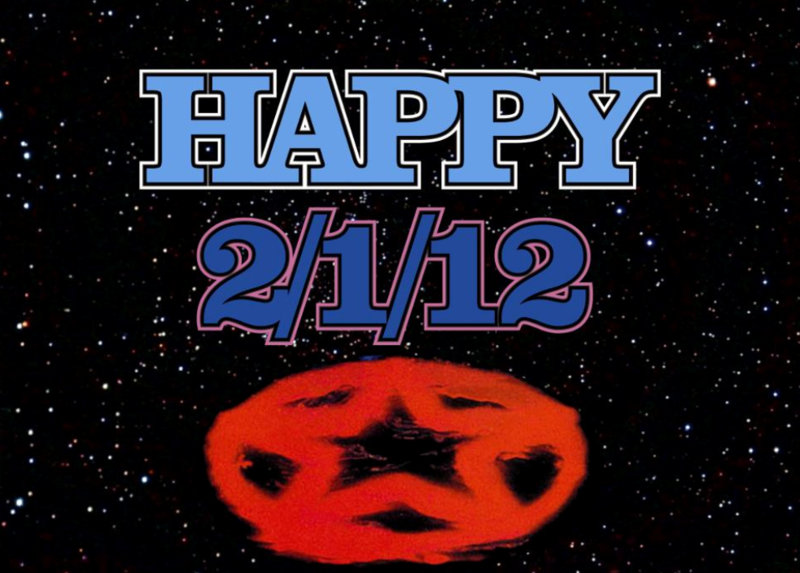 What are you going to do to celebrate? 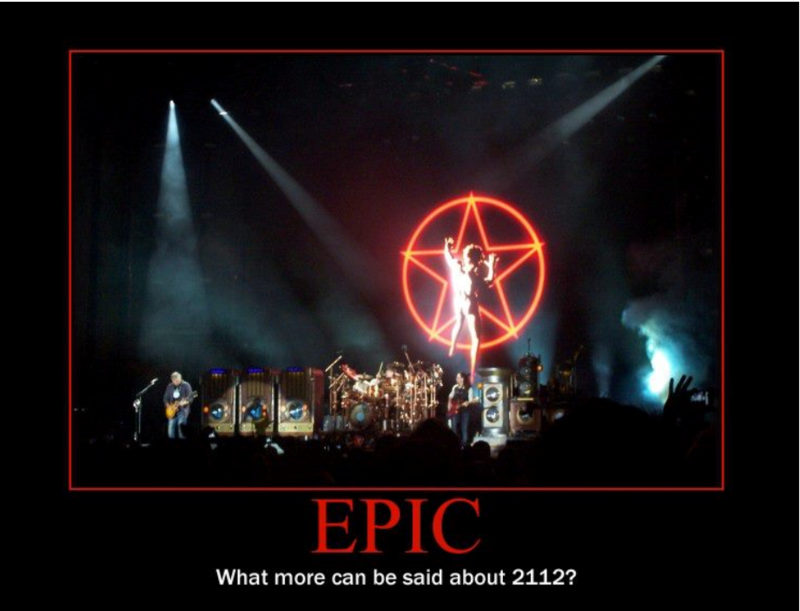 Of course, you'll be playing Rush's 2112 -- preferably the entire album. But listening to the isolated drums for "Overture" isn't a bad idea either. Reading the handwritten lyrics by Neil Peart is probably required -- especially if you've never seen these. RushCon and Rush Radio are sponsoring a 2112 listening party.